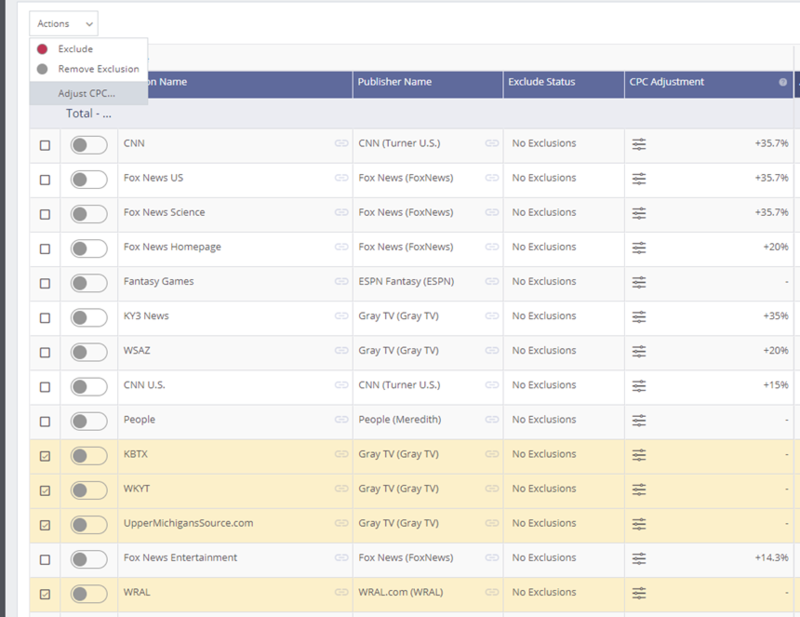 How can I optimize my CPC for a specific publisher section? In addition to amplifying your content on some of the world’s most premium publishers, Outbrain allows you to maximize your exposure on specific publisher sections with custom CPC adjustments. You can reach engaged users with increased CPCs and a laser-focused campaign budget. Watch our quick video to learn more. This option is only available by publisher section, not for entire publishers. A publisher section is a category page within the publisher’s website. For example, CNN Money is a section within CNN, the publisher. 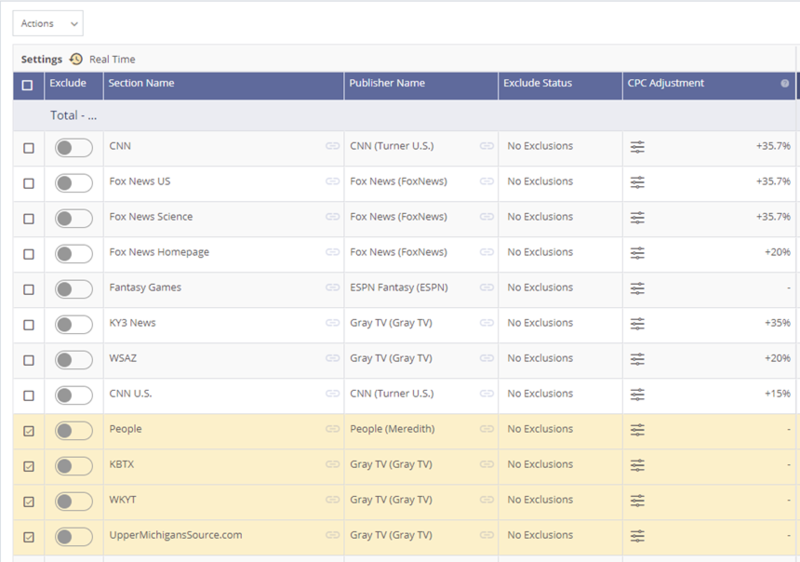 Select the specific campaign you wish to optimize from the campaign menu and click ‘By Section’ in the “By Publisher’ drop down. 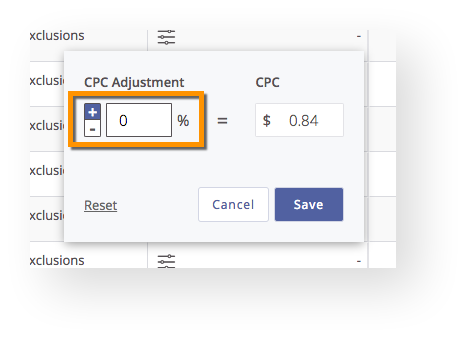 In the CPC adjustment column, set a specific CPC, choosing a percentage higher or lower than the fixed campaign CPC. Sections that are not converting well can run with a lower CPC or, as a last resort, be excluded by clicking the button next to the section name. 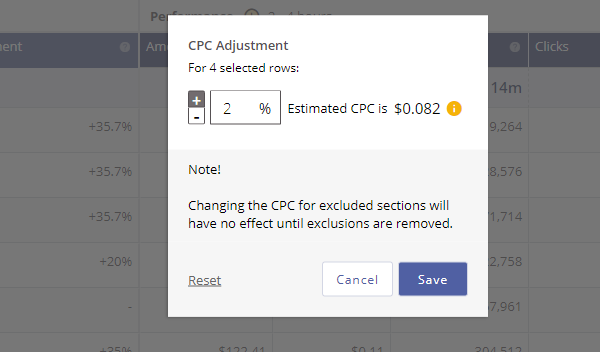 To modify multiple CPC adjustments at once, select ‘By Section’ for a specific campaign. Next select all the sections you want to optimize by checking the box on the left. Next, click the Actions drop down in the upper left and select Adjust CPC. In the window, enter your CPC adjustments and it will apply to all of your selected sections at once. CPC adjustments are made on the campaign level and for sections only. Adjustments are made by percentage, which means that if the entire campaign’s base CPC is changed, this will be reflected in the percentage adjustment for that individual section. Write CPC adjustments as decimal points (0.02) when uploading changes in bulk. A limit of 500 CPC adjustments can be made per campaign. CPC adjustments will override any CPC auto-optimizations done via the Conversions Bid Strategy and may lead to a reporting discrepancy. We recommend removing the CPC adjustments if you are also using this bid strategy. It is not recommended to reduce the CPC too significantly. Setting it 5-10% lower than the fixed CPC will ensure attention is driven to the highest performers. This feature works best when focusing on the sections that are converting well and bringing in engaged traffic. To expand your reach, review previously excluded sections and re-include them with adjusted CPCs. You can also make bulk CPC selections by using the ‘Export ‘ option. Simply export your campaign-specified “By Section” report in the dashboard, and add your changes in the “CPC Adjustments” column of the file. When complete, click the CPC Adjustment option under the Import button in the upper right.